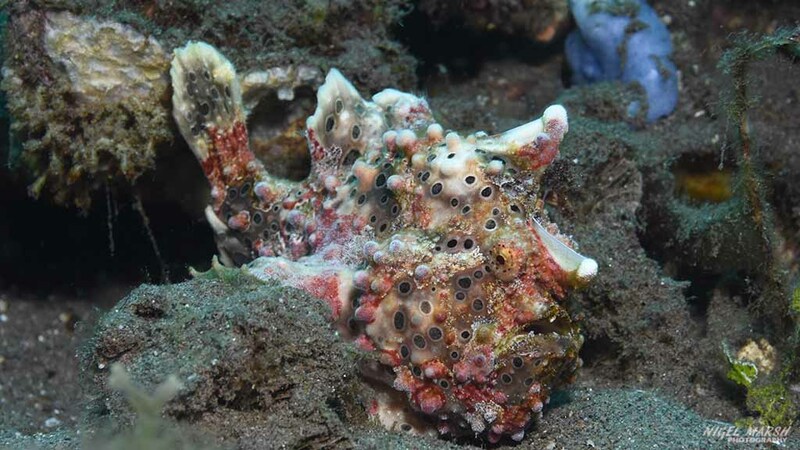 For divers that love frogfish, and who doesn’t love these strange fish with head lures, the best place in the world to see these wonderful fish is Dumaguete. The coastline off Dumaguete is dotted with incredible muck diving sites, and everyone is home to a good population of frogfish. 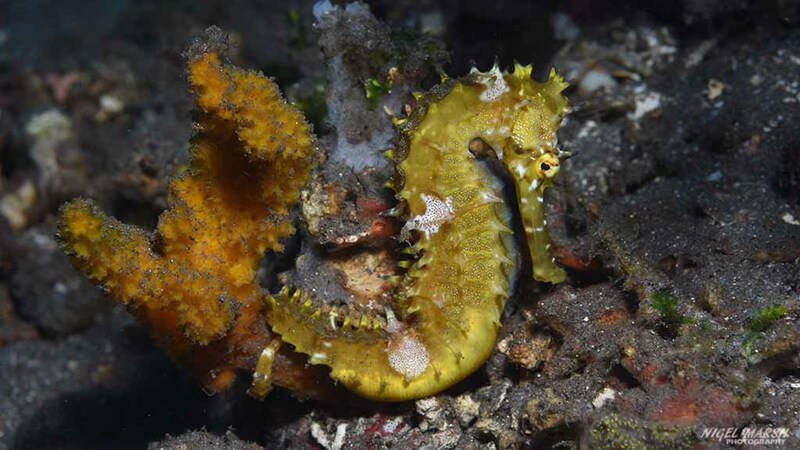 But this Philippines destination has much more than frogfish, as its muck sites and coral reefs are loaded with a great variety of marine life that will impress any scuba diver. 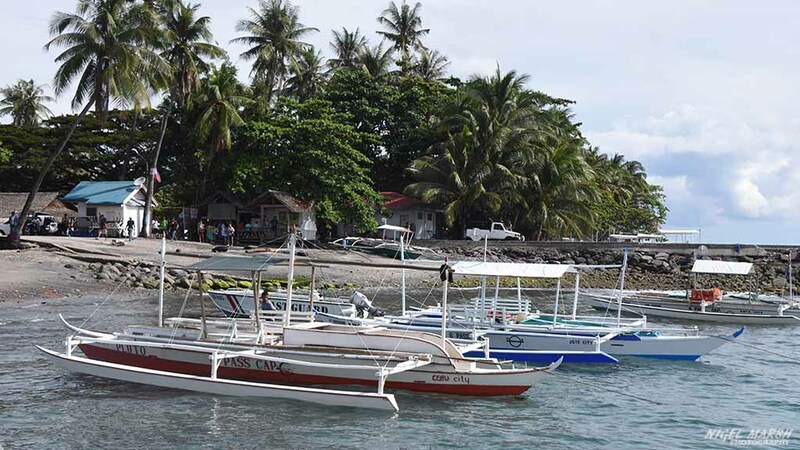 While this area of the Philippines is best known as Dumaguete, as this is where the airport is found, the diving in this area is centred on the small town of Dauin, south of Dumaguete. The coastline of Dauin has dark sand or muck, a habitat perfect for critters, while offshore are wonderful coral reefs around Apo and Siquijor Islands. Though this area is visited by the occasional liveaboard vessel, most divers use the land based dive operators and there are no shortage of these, as dozens of dive resorts are scattered along the beaches off Dauin. There are so many dive resorts to choose from that divers will have no trouble selecting one that suits their budget. 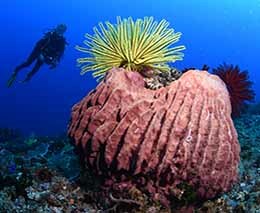 The diving off Dumaguete is excellent year round, with no good or bad season, though some of the marine life is seasonal. 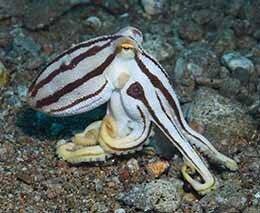 During a typical week of diving Dumaguete divers will see turtles, schooling pelagic fish, octopus, cuttlefish and many muck critters. However, one of the big highlights at Dumaguete, as mentioned above, are frogfish, with this area claiming the title of ‘the frogfish capital of the world’. 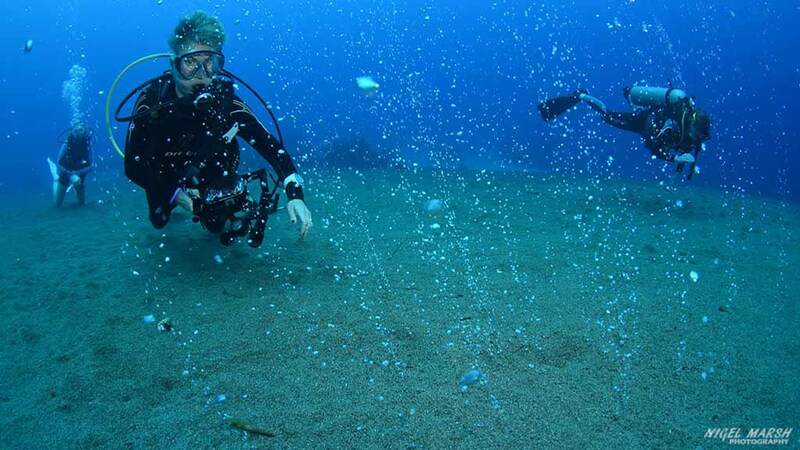 Whether you are into coral reefs or muck diving Dumaguete is a fabulous Philippines diving destination. Dumaguete is the capital of Negros Oriental and located at the south-eastern end of the island of Negros. Dumaguete has dozens of dive operators, with most associated or integrated into a resort. 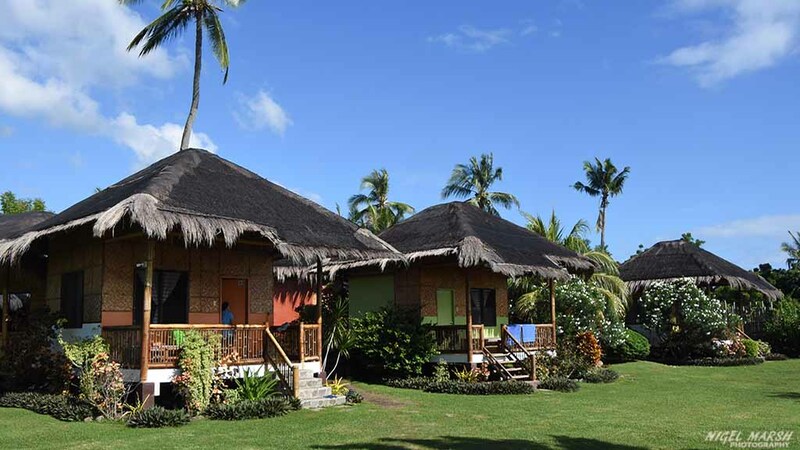 Most of these dive resorts are located on the coastline at Dauin, but a few are also found in town at Dumaguete. Dive centres offer both boat and short diving options, with most of the dive boats traditional style bancas. These boats are very stable and comfortable, and often a little slow, but perfect for a relaxing dive holiday. Most of the dive centres also offer dive courses, with Dumaguete a popular spot for divers to complete Divemaster and Instructor training. Divers looking for a great variety of sites to explore while on holiday need look no further than Dumaguete. Along the coastline of Dauin are dozens of muck sites. These muck sites vary greatly in style; some are just plain dark sand, while others are rubble, many have pretty coral reef structures protruding from the sand and others have been supplemented with man-made objects to create artificial reefs. These wonderful muck sites can be explored from the shore or via boat and most are blessed with quite good visibility, typically 10 to 20m. Exploring these muck sites divers will see frogfish and lots of them. Dumaguete claims to be the frogfish capital of the world, and is the only location where divers can do a frogfish speciality course. 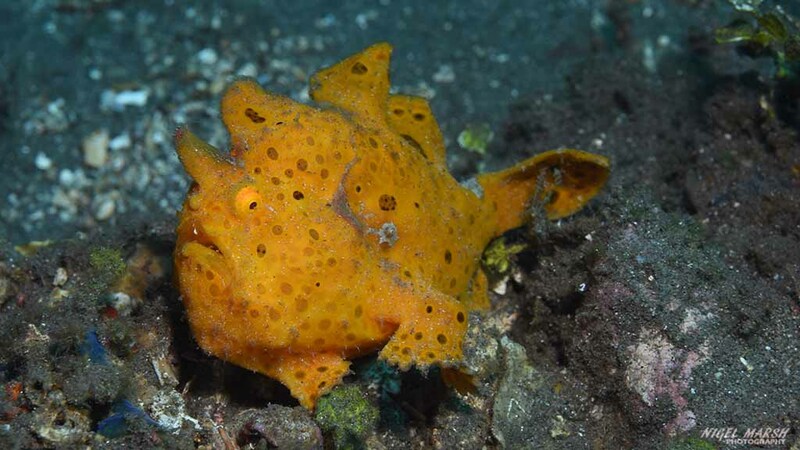 With a good guide you will see a dozen or more frogfish at most muck sites, with around six species of these cute strange fish common to the area. 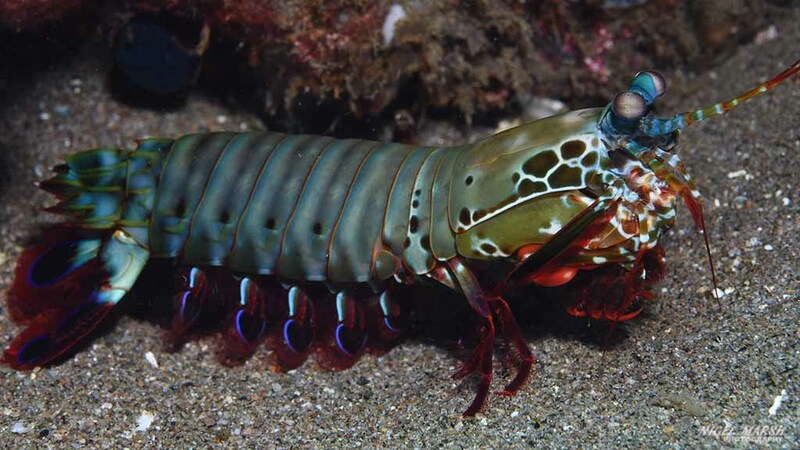 Other muck critters commonly seen are wonderpus, flamboyant cuttlefish, blue-ringed octopus, coconut octopus, mantis shrimps, nudibranchs, pipehorses, seahorses, waspfish, sea moths, leaf scorpionfish, xeno crabs, snake eels, stargazers, demon stingers, coral shrimps and ghost pipefish. 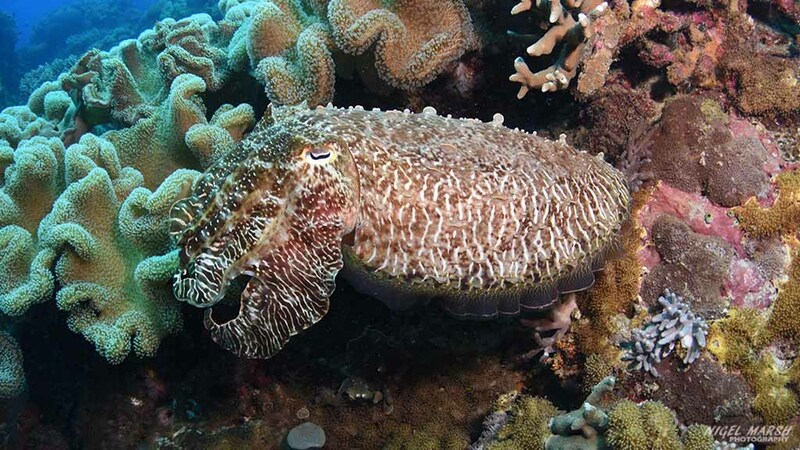 Many divers, especially underwater photographers, spend their whole time in Dumaguete exploring these fabulous muck sites, but offshore from this coastline are several spectacular coral fringed islands. The largest of these islands, Siquijor, has many magic dive sites, but being quite a distance offshore it is only dived on specially organised trips. 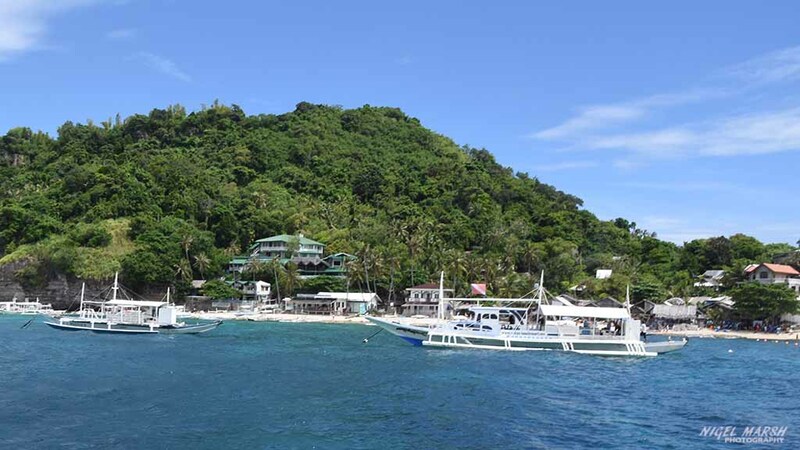 Some dive resorts also run occasional trips to Sumilon Island, which is off Cebu and not far from Oslob is sometimes visited by whale sharks. More frequently dived than these sites is nearby Apo Island, which is a marine sanctuary and a great place for divers to encounter turtles. 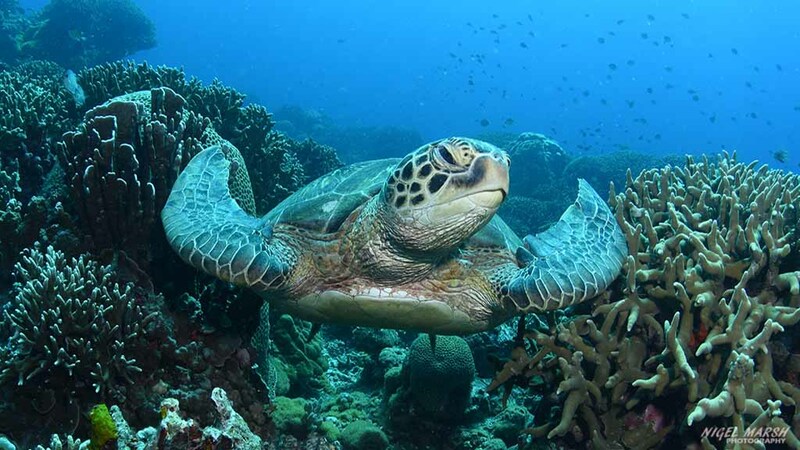 Around Apo Island divers can explore coral gardens and walls, and see a great variety of reef fish and invertebrates. 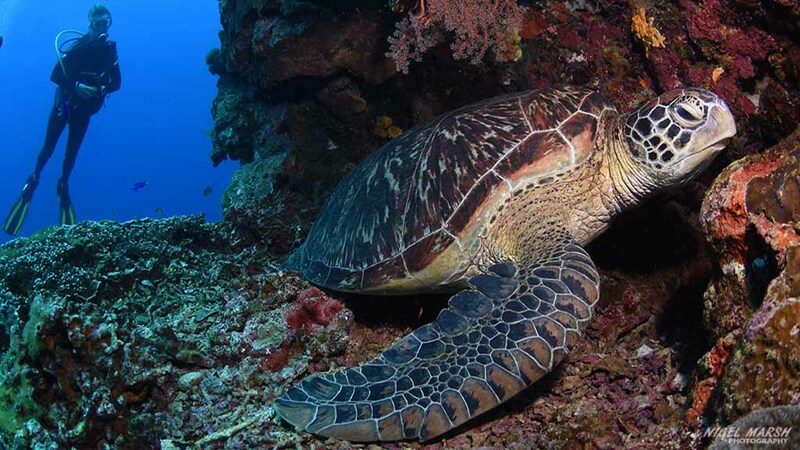 Turtles are seen on every dive, but divers will also encounter reef sharks, cuttlefish, frogfish, batfish, trevally, barracuda, mackerel and sea snakes. Blessed with clear water, the visibility rarely under 20m, and constantly washed by currents, Apo Island has healthy corals and incredible dive sites. Water temperatures off Dumaguete vary from 26 to 30°C, so a 3mm wetsuit is all you will need year round. 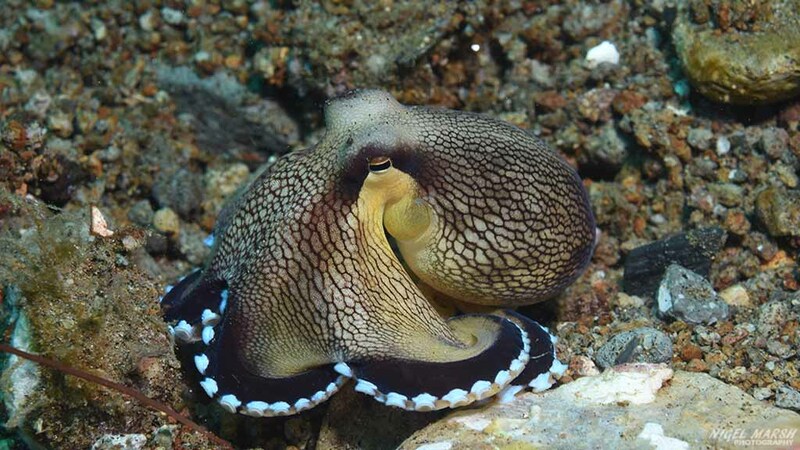 With dozens of wonderful dive sites off Dumaguete allow yourself at least a week to explore the diverse variety of marine environments in this special part of the Philippines. 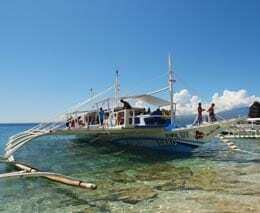 Around the Dumaguete area are dozens of wonderful dive resorts. These resorts naturally vary in price, as some are luxurious and others more basic, but most have air conditioned rooms, a pool and onsite restaurant and bar. Most of the resorts also offer package deals on diving, and some even have free unlimited shore diving on their house reef or muck site. 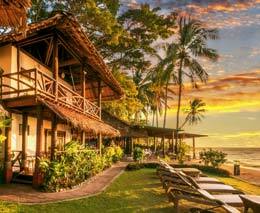 If staying at a dive resort you can simply eat at the resort restaurant, most of which offer a range of western and Asian cuisine. Some dive resorts are a little isolated, so the resort maybe your only option, but others are closer to Dauin and other resorts, allowing you the chance to eat at other resorts or other restaurants. There is a surprising number of restaurants and bars in Dauin, which have everything from pizza to vegan food on their menus. With dive resorts offering a pickup and drop off service to the airport, you may not need to get around in Dumaguete or Dauin during your stay, as everything you need will be at the resort. But if you do decide to explore nearby towns you can catch a ride in a jeep or bus or even on the back of a motorbike. If you do find yourself with energy to spare after diving or want an off-gassing day there are a number of sights to see in the area. In Dumaguete and Dauin are historic churches to visit, with the St Catherine Cathedral the main attraction. South of Dauin there is a market at Malatapay, which happens every morning, but is best on a Wednesday. This colourful local market has everything from fruit and vegetables to cattle and clothes, and is a good place to try local food. This mountainous part of Negros also has many lakes and waterfalls, but some require a bit of effort to reach. Casaroro Waterfall is generally done as a half day trip, and to reach the falls requires a hike through a rainforest. The twin lakes of Balinsasayao and Danao are located 850m above sea level, so probably best visited after a reasonable surface interval. The lakes are surrounded by thick forest and home to a wide variety of wildlife. Many of the dive resorts offer tours to these lakes and waterfalls, and some also offer more vigorous mountain hikes. 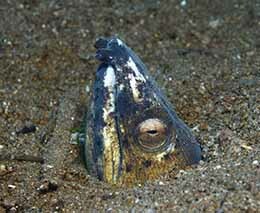 While frogfish are seen at Dumaguete year-round, the greatest numbers are seen between March and May. Dumaguete is also the best place to see baby frogfish, some are only 2mm long! Ever wanted to have an underwater bubble bath? There is one strange dive site at Apo Island called Largahan where volcanic gases bubble from the sand, creating a very unique underwater bubble bath. Dumaguete has an airport with regular flights from Manila and Cebu on Philippine Airlines and Cebu Pacific. It is also possible to reach Dumaguete via ferry from Cebu and Bohol.